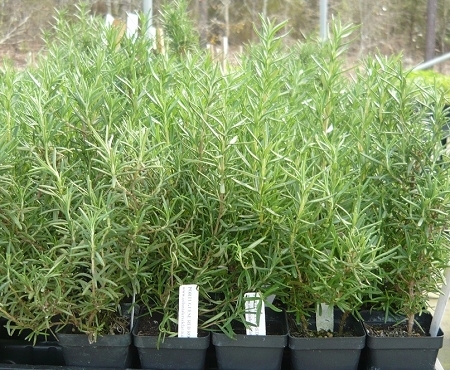 Logee's Blue Rosemary (rosmarinus officinalis 'logee's blue) - Beautiful upright culinary variety. Dark blue blooms appear early in the season. Good flavor for culinary use. Introduced by Logees nursery. Perennial zones 8-10. Live plant shipped in 3 inch container.